So excited to announce another Paint & Petals product launched through my collaboration with Anthropologie. This gold foil floral wallpaper is one of my favorite items from the collection. 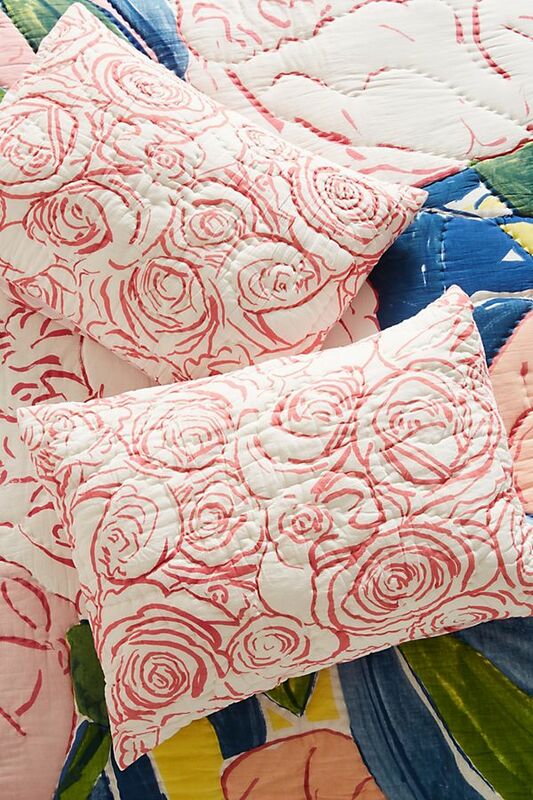 The artwork for this product is a reproduction of my hand painted repeating rose pattern, originally painted on paper. Shop Paint & Petals Wallpaper here! I recently added a new size option on my print page. 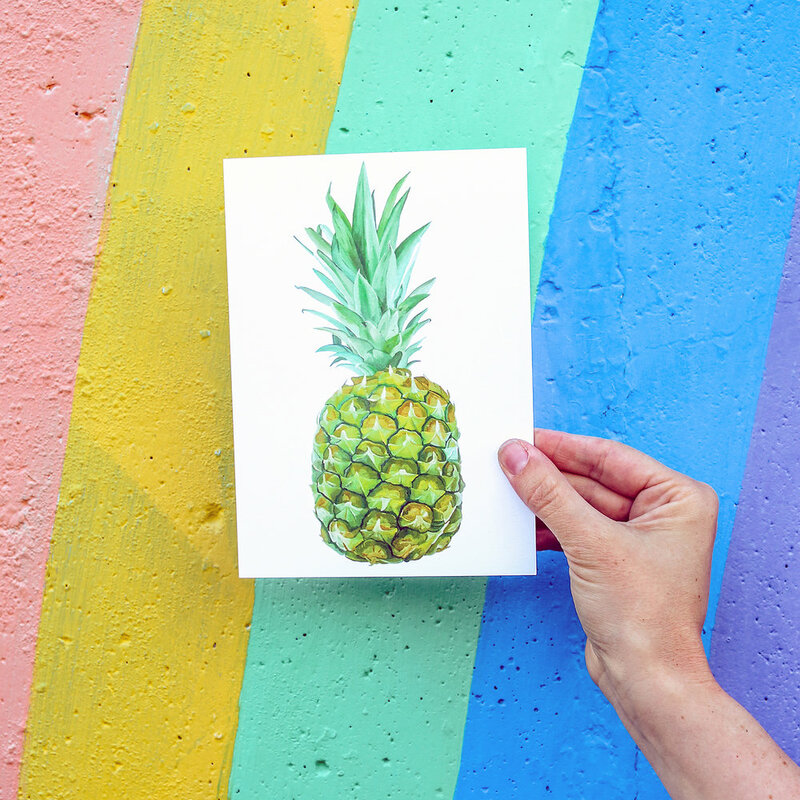 These mini prints are 5"x7” and perfect for adding to a gallery wall, placing on a nightstand or on a bookshelf. This rainbow wall located in North Berkeley worked as the perfect backdrop to my brightly colored paintings. Since my photographer Hillary and I were already shooting a few prints, I thought it would be fun to shoot original paintings as well. You can purchase After The Rain (left) and Seven Orchids (right) here. All photos in this post captured by Hillary Jeanne Photography. My favorite part of Berkeley is the shopping area known as Fourth Street. Lucky for me, it’s only a few blocks away from my art studio. Fourth Street is filled with the best boutiques and restaurants...perfect for taking photos! I had so much fun shooting two of my new paintings on this white garage wall. I love the concept of hanging original paintings around town, decorating otherwise overlooked areas. Don’t get me wrong, I love galleries and interior design, but there is something so refreshing about hanging art for the public in such an immediate way. My new painting, Peachy, seen in these photos is now available on the original art page. You can also purchase it as a print! Everyday on the drive to my art studio I pass an awesome rainbow striped wall on University Street in Berkeley. I knew that hanging some of my Paint & Petals prints on the wall would create a visual match made in heaven! I had so much fun shooting my three favorite prints with photographer Hillary Jeanne! I also used this shoot to test out styling a look featuring a colorful scarf. Scarves have always been my favorite accessory so I have loved seeing them come back into trend this season. I'm in the process of developing my own scarf line featuring Paint & Petals paintings on the fabric. 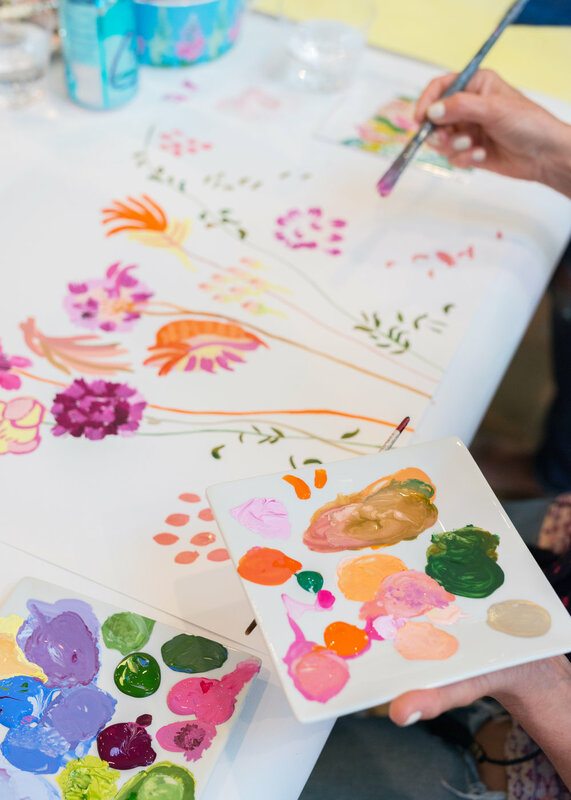 One of my favorite Paint & Petals events this summer was hosting a painting workshop right on the sales floor of Anthropologie Walnut Creek. Together we hosted 14 amazing women who were interested in learning new painting techniques. Each participant left the workshop with two or three completed floral paintings. I brought my personal set of Paint & Petals x Anthropologie samples to use as water bowls and table displays. I also brought fresh flowers from Diablo Foods. Students were able to create a still life painting by looking directly at the floral arrangements or they could add their own unique twist to one of my designs. I hope to teach more large workshops. I’m available to teach private lessons at peoples homes too. Stopping by Anthropologie is on of my favorite things to do! Anthropologie is always updating their displays. They are masters at keeping the store visuals fresh, inspiring and totally creative! I live close to the Anthropologie in Walnut Creek. When I hosted my painting workshop at Anthropologie Walnut Creek, I was delighted to see my Paint & Petals X Anthropologie collaboration displayed in a new way and taking over an entire display section. One of my favorite photographers Love Grace Imagery was so sweet and captured these great photos of the space. I participated in a pre Mother’s Day Pop Up Shop at Anthropologie Walnut Creek. It was such a treat seeing customers pick out products specifically for their moms. My Pop Up area was placed in the home section of the store between a living room and bedroom display. I was also able to lead customers to the Paint&Petals X Anthropologie collaboration that was simultaneously being sold on the sales floor. 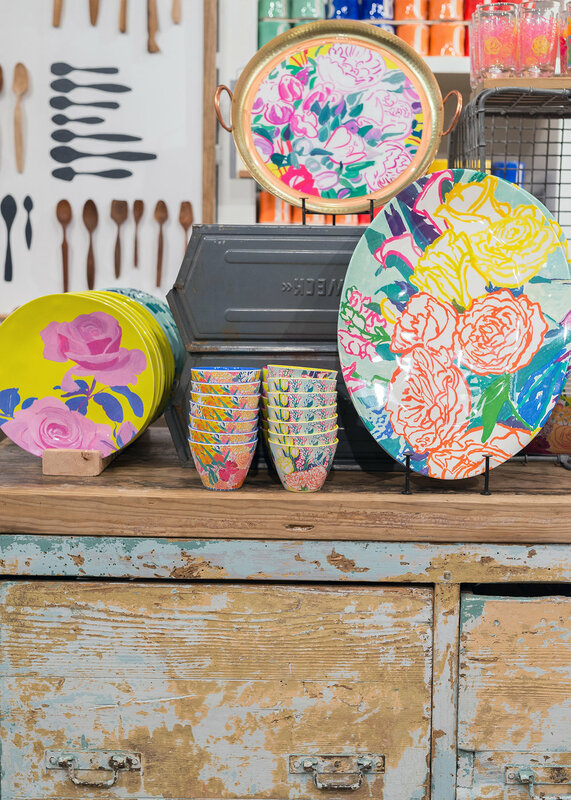 I loved matching products from the Paint&Petals X Anthropologie collaboration with my original paintings in order to create a more elaborate gift for Mom. At this specific Pop Up I learned that the costumers gravitated towards purchasing smaller 11"x14" paintings on paper. Anthropologie hosted me to do a live painting presentation on their sales floor. I was able to paint on my easel next to our Paint & Petals X Anthropologie collaboration products. I normally don't love to paint in front of people, however, I think this style of event is great for getting the word out about my art and brand. Overall, the night was so fun! I especially loved getting to show people the real painting process standing next to completed mass produced home products with digital replications of my artwork on them. Digitally designed a few animals for the latest collection of Kenny Flowers swim trunks. I created these drawings using Adobe Illustrator. This Toucan style is my favorite. I love how Kenny shoots most of his photos in Bali where a majority of the clothing is produced. Shop the Kenny Flowers collection here! Meeting the couple behind Destination Eichler was such a treat! 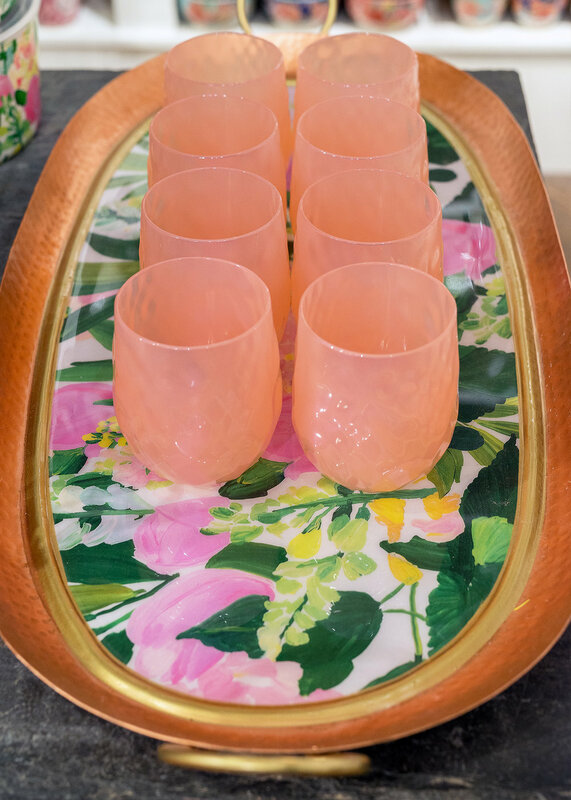 Together we hosted an in-store Anthropologie event launching all of the new Spring and Summer home collection. Karen, ½ of the Destination Eichler team, wrote a very thoughtful blog post about the event. Check out her blog post here! 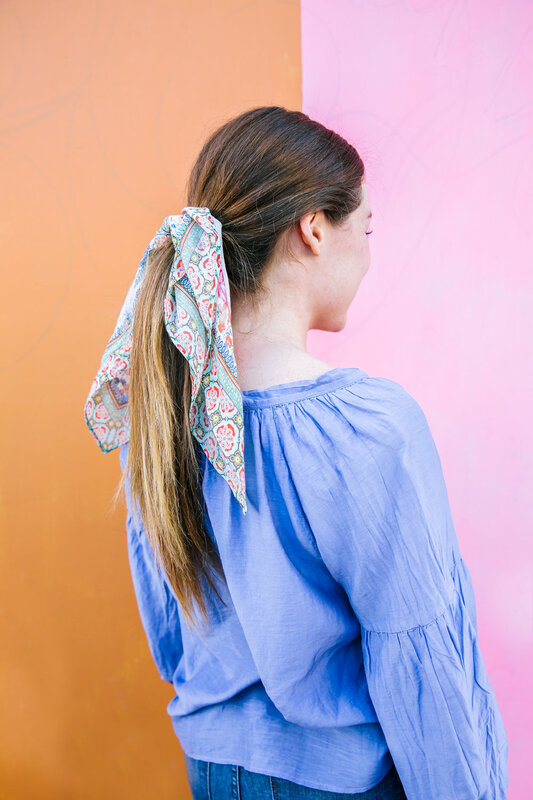 Flower Girl: Bridgette Thornton Moraga artist Bridgette Thornton debuts a colorful home-decor collection for a major national retailer this month. 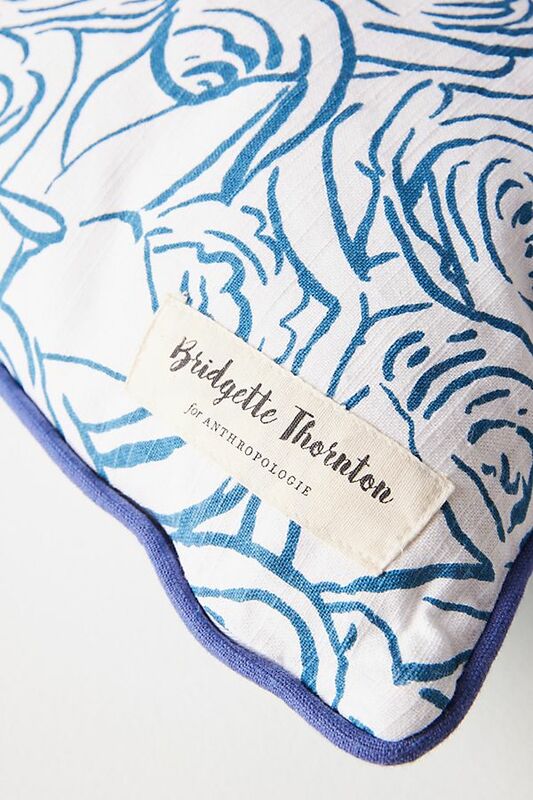 My Artist Collaboration with Anthropologie is live on their website! They contacted me over a year ago, in July 2017, asking if I would be interested in the collaboration. Together we chose our favorite 10 paintings to use on a collection of their home products. I also custom painted a few pieces for them with specific colors, the process was very collaborative. Another fun part about this process was getting to see how they chose to style the e-com photos on their website. I love the different ways the prop stylist chose to set up the products. This whole process was a dream come true for me. I visualized having my art in Anthropologie stores since I was able to first fit into their clothing in 2006. Shop The Collection! 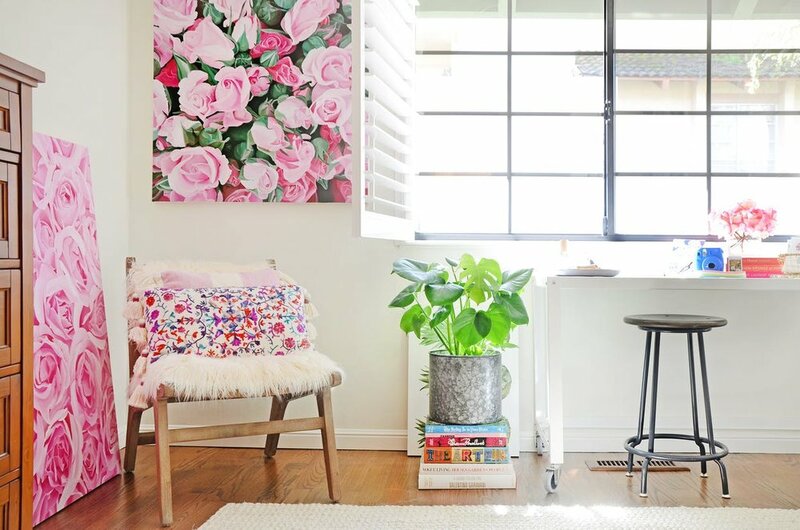 So happy to see my print Bud Vase in this lovely home designed by Luna Grey Interiors. I love how Luna, the designer, is never afraid to use bright color in her projects. I’m super into the color yellow right now, so it's also awesome to see the back of the front door painted in a bold lemon yellow. If you are decorating your own space I like to recommend buying neutral colored furniture. Then you can bring in color through accessories and paint finishes that are easy to change if needed. Wall of Roses is the largest painting I have created to date. It is 48"x36" and can be hung either vertically or horizontally. After finishing this painting I want to continue creating large paintings on canvas. I love how much detail can be captured by working in this format. Check out the painting process for Wall of Roses on my YouTube Channel. My parents recently moved into a new home. I was able to help them design and decorate the living space. I love the Dryden Sofas and Elke Round Glass Coffee Table both from Crate & Barrel. We chose to accessorize the space with green and orange colored accessories. I hung three of my Paint & Petals paintings on the main wall. We framed each painting in white 18”x24” wood frames. When you are framing art on paper there is special glass you can buy that is UV protective and less reflective. I like how the two side paintings have white backgrounds and frame the middle painting. 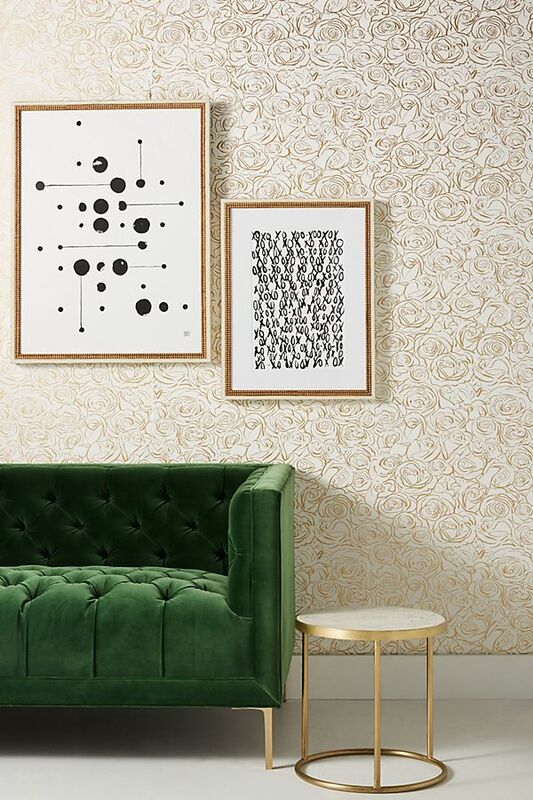 The middle painting is full of green tones that tie the rug and fiddle leaf fig plant in with the rest of the room. 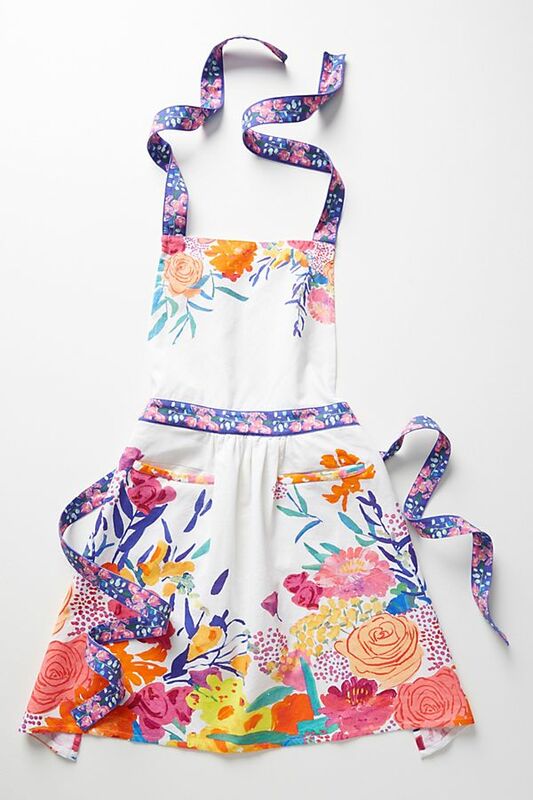 I could not be more excited to announce I have two new floral prints for sale at Anthropologie as a part of their Spring Home Collection! As many of you already know I was a graphic design major until the middle of my junior year at California College of the Arts. The skills I learned at that time in my life enable me to create graphics and products with my floral paintings. 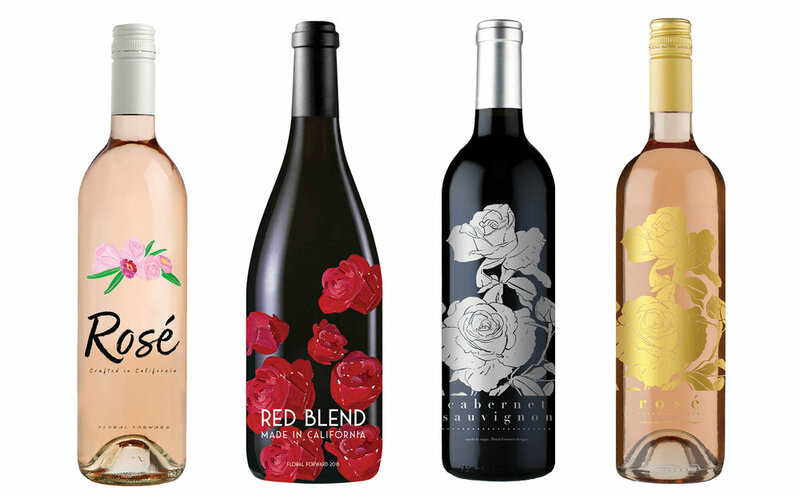 I have been working with a wine marketing and distribution company called Merchant23. Together we created a line of wine labels featuring my artwork. We are currently in the final design stages of the project. Fingers crossed – I hope to see some of these on actual bottles soon! Another one of my goals is to start creating murals. I made three mock-ups using elements found in my fine art paintings. I have submitted these to a company called Beautify Earth in LA. Beautify Earth helps artists get mural commissions. I am open to creating one of these in the Bay Area as well. If you are reading this and know of a wall in need of some public art please let me know!